This study empirically measures the information seeking behavior of academician on the rapid technology platform change environment in the technology institutes found in Amhara Region, Ethiopia. The questionnaire was prepared and distributed to the academicians of technology institutes to collect information about the medium which was used for seeking information. 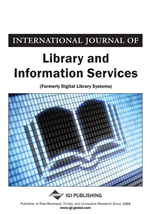 The questions were how devices helped to seek information, the purpose of the information, and challenges faced while seeking information and measure of satisfaction level for the digital library in the institutes. Hence, the study reveals that users used portable devices to seek information from the internet and the digital library rather than using printed copies of information for their academic, research and community service activities. The results show that the information dissemination medium should be changed to electronic information due to the rapid growth of information and communication technology that impacts the information seeking behavior of users, and provide continuous support and training to use the electronic resources. Nui and Hemminger (2011) conducted research on the factors that affect the information seeking behavior of academicians and identified that demographic, psychological, role-related, and environmental factors (department types and library distance) affected the information seeking behavior of the academicians. In addition, Kumari et al., (2013) reported that a maximum number of teachers used the library to access books, use periodicals, journals and reference material for different purposes. The researcher added that maximum number of teachers never used audio-visual material as the source of information. However, these studies could not explore the effect of information and communication technology on the information seeking behavior of the academics’ environment. Mohamed (2007) carried out a research on the use of ICT-based resources and services in special libraries in Kerala. The study concluded that ICT-based resources and services were highly significant for academic and research work. However, the orientation and training on the use of ICT to seek resources was inadequate. Niu et al. (2010) conducted a survey on academic researchers in natural science, engineering, and medical science from five research universities in the United States to understand different aspects of researcher’s information-seeking behavior. The findings showed that electronic resources were used the most to search and access academic content so that the academic libraries should support the needs of scientists.